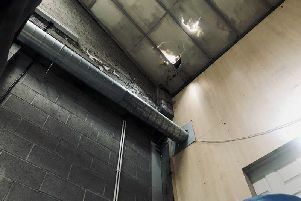 A 37-year-old man is due in court charged in connection with an IRA bomb attack on a Northern Ireland police station that was intercepted by the SAS. Waiting undercover soldiers opened fire on those throwing improvised blast bombs at Coalisland’s heavily fortified Royal Ulster Constabulary (RUC) station in Co Tyrone in March 1997. A Coalisland man, 19-year-old Gareth Doris, was shot and seriously injured in the SAS ambush. In 1998 he was handed a 10-year jail sentence for his involvement but was released two years into his term as part of the Good Friday peace deal. It was suspected at least two men were involved in the bomb attack, which happened less than four months before the IRA called its last ceasefire. The charged man faces a count of causing an explosion. He is due to appear later at Dungannon Magistrates’ Court this morning.